Are you looking for the Best Vlogging Cameras under $200? 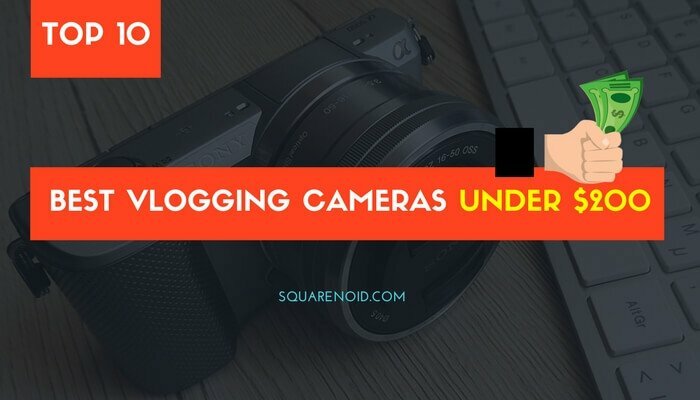 While the internet is continuing its affair with blogs and vlogs for a considerable time now, it is imperative for every vlogger to understand the importance of a shooting camera, for your blog to be a significant success. As it is a known fact by now that ‘content is the king’, and for vloggers, it is mainly their videos and pictures that constitute content. Thus, keeping that in mind, it is always desirable for any vlogger to spend a little more money on buying an appropriate shooting camera, than anything else. Here is a criteria list that can make your next pick the best one! Lens quality shall be considered every time. Optical image stabilization is yet another essential aspect that you cannot afford to miss out. Having an inbuilt microphone is always desirable. In-built Wi-Fi is an extra bonus that goes a long way. Now, when you know what factors to consider for having a satisfying buying experience, let’s have a look at the Best Vlogging Cameras under $ 200. 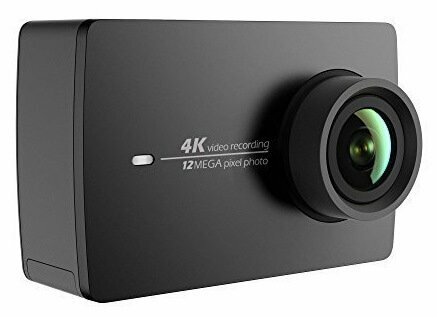 When it comes to action camera, YI 4K beats your every expectation to give the best of functionality and quality all in one go. 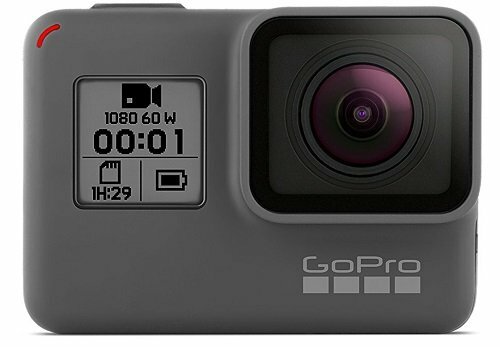 You can very quickly draw a parallel between some of the best GoPro models like that of the Hero4 Black to this product. However, that is apparently not the USP of this product. Its major USP lies in the fact that it is very much affordable while taking care of all the major areas that any reasonable action camera is expected to take care of. Read user reviews of YI 4K. How well it works on its dominant features? With a rectangular shaped design of 65 X 42 X 30 mm, the model renders good results with projecting lens. Plus, the additional inclusion of 2.19-inch touchscreen LCD that is protected with Gorilla glass always makes the product a desirable one. Coming to the display, it has a resolution of 640X360 resolution and is plentifully bright and sharp to compose perfect shots. Considering that most action cameras are always evaluated on the point of their battery life, this particular product is a real winner. I ended up with a non-stop 5-hour clicking during my experience, and that is pretty good. The product comes with a micro USB port tucked behind a flap on the same side of the charging port. Moreover, the product also goes on to support dual-band Wi-fi and Bluetooth for any case of optional remote control which is definitely a plus for the product. Plus, what I personally found the best thing about the product is that it has the inbuilt option of some basic video and photo editing capabilities its system. However, its added watermark may annoy you a little. Again, there’s also a sidebar for readily connecting to the most popular social media icons. Now, on the basis of my experience let’s try and sum up its significant pros and cons. Although it is true that the YI 4K is not the camera which is the perfect product for every operational blogger, someone who has just started off their journey and needs a camera that can give the best of both worlds, this product sets the benchmark for them. Although less can be said to rank the Canon PowerShot ELPH 360 in the league of the best of the digital cameras, yet as a user, I must acknowledge that its performance at the price that it is been offered is commendable and at par at every level. Ideally, if I have to sum up this product in one or two liners, terming it to be a versatile camera will be just. Teamed with its vast variety of relevant features and reasonable pricing, it is one of the most competent cameras you can get for your blogging. Read user reviews of Canon PowerShot ELPH 360. Aiding at 20.2 megapixels of resolution, the Canon PowerShot ELPH 360 is undoubtedly an outfox, for the price that it offers its excellent features. However, due to its limitation of having a small image sensor, it fails to produce high-quality photographs at par with the priced models available in the market. One of the significant features that this product undoubtedly offers you is its outstanding performance with high light. Plus, it also has a fully automatic point and shoots feature. Compact in design, this 0.9” thick product easily fits in most of the cases and pockets. Plus, the LCD is also sharp and bright together with its 12X zooming lens to give quality image outputs. Although it performs well on most of the factors, the product fails to stand reliable when it comes to battery life. Its performance is abysmal in terms of battery life. I have never been able to use it at a stretch when fully charged for more than 3 hours. Considering all its pros and cons, I would suggest this product for any beginner to go for. However, it might not be ideal for a very active and experienced blogger to go with this camera. The all-new Canon VIXIA HF R800 Camcorder encompasses the much-needed makeover that the camcorder industry needed, for reviving its lost glory. Although it is priced a little higher than others, which is usually expected from a Canon product. However, this price is justified by the splendid performance that the camcorder offers right from the first run itself. Read user reviews of Canon VIXIA HF R800. Fulfilling most of the basic expectations from a camcorder, this product stands to have outdone itself and is probably one of the best in the market at present. In ideal lighting conditions, the videos that I took are rendered correctly on a big screen. Considering that it is a 1080p camcorder, the image quality is impressive and detailed. The much cherished 57X optical zoom allows you to zoom into a focal point of 1853mm, one of the most massive zooms that any camcorder offers till now. When used with image stabilization feature, most of the issues are corrected to a large extent. With the additional advantage of 3 touchscreens and a one thumb camcorder, it is very much easy to use for anyone. However, my personal favorite regarding remains to be the highlight priority mode. One of the most significant assets of this model from Canon is its extensive memory space of up to 128 GB. Plus, it has a built-in video editor that allows you to accommodate some desired changes in the content as and when required. 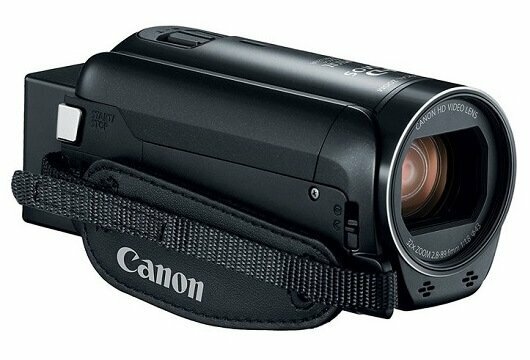 When it comes to battery life, the Canon VIXIA HF R800 Camcorder performs a great job. When running optimally according to its capability, I got an excellent performance for more than 8 hours without any drop. Let’s sum up its features into its strength and weaknesses. As a vlogger if you are in search of an HD level camcorder without breaking your bank, then this product might be just the perfect match for you. It possesses all the significant features that any vlogging camera requires an exceptional quality output. However, if you are just starting off your vlogging journey, I would suggest not going for this. 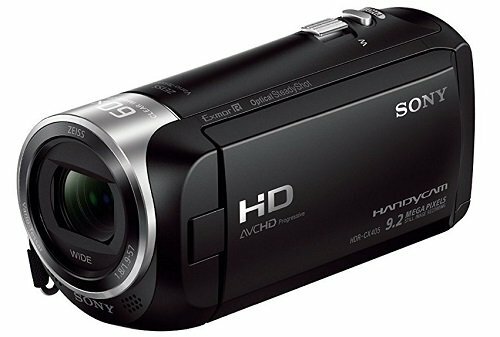 The Sony HD Video Recording HDRCX40 is one single product that lets you cover all your needs and expectations from a camera. In one word, you can say that although it is nothing fancy, yet it does not fail to meet the essential functions of a camcorder. Read user reviews of Sony HDRCX40. When we speak of the quality of video that the camcorder allows you to shoot, it can be easily said that it has done a remarkable job especially considering its price. Giving a digital output that goes up until 1080p, the video has a rotating LCD screen that you can easily navigate with a toggle screen. This is an extra benefit for those who find touchscreens to be a little hassle-prone for use. Although you can say that the overall quality cannot be termed to be top rated, it does a proper job when it comes to specific technical details like color balance and brightness. If we talk about the zooming ability of the lens, it does not do a very satisfactory job. It almost ranges from the lower quarter of the performance, when compared to its contemporary products. This vital aspect of any camcorder has also been marginalized and not used in this product. You will have to do all these things separately. However, there are some essential features like that of the image stabilizer that has been built-in the system. The battery life is also not very satisfactory for this product. It lasted me for around an amount of 4hours 42 minutes precisely, while I tested it under optimum conditions while fully charged. Let’s try and summarize its features into pros and cons. When it comes to vlogging at a very initial level, this product will meet all your requirements. However, if you are in the intermediate or advanced level of blogging, my personal suggestion will always be to skip this product. 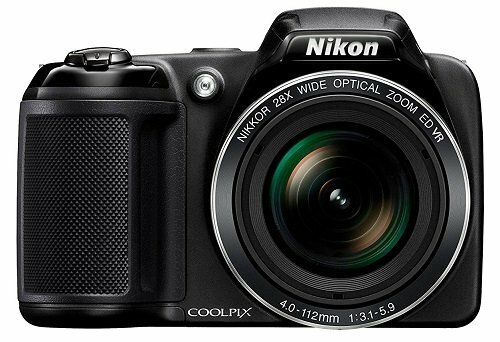 The major USP of Nikon Coolpix L340 bridge-style camera is its winning zooming focus. Coming at a great affordable price, this camera indeed renders the basic necessities of a camera, majorly focusing all its functions on producing quality images. Read user reviews of Nikon Coolpix L340. Let’s try to evaluate it on the basis of specific criteria. This is something very much anticipated in the model. You can always regard the 28X zooming focus of the camera as its major USP amongst all. It is a crucial factor while determining which camera to go with while buying. This Nikon’s model does an excellent job while providing its users with this feature in the camera. It has a ½.3 inch 20.2 megapixel CCD sensor to go with the optical zoom too. The design of this camera is simplistically stylish. Plus, it gives you the feel of a DSLR which may prove to be a bonus for some of you. The battery of this device is somehow a little hassle-prone comparable to others. Owing to its cheaper price range, it does not have the provision of inbuilt rechargeable batteries. Instead, it uses Four AA batteries. 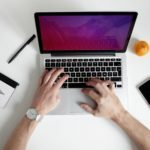 While hoping to have fed you with the necessary information and details that I noticed about the product in my experience, the following is a table summing up its significant pros and cons. Low light image quality suffers deterioration. Nikon’s products are usually always proving themselves to be of great value for the money they are offered at. This product too is no exception. Although the picture quality cannot be compared to what a DSLR renders, still it is a pretty useful camera due to the significant USP; affordability with the fulfillment of basic necessity. When it comes to meeting your needs of flexibility, the all new GoPro HERO is all that you need to have by your side. Its compact size, high affordability would instantly make you feel the need to have it by your side, for your every day capturing needs. Read user reviews of GoPro HERO. When it comes to design and looks, the GoPro is not at all your run of the mill camcorder. However, the reasons are very much apparent. Its modular size and shape are intentionally crafted to give the extra edge to customize the primary camera as and when required. The model is defined by this very feature. Its 1080p 30 frames per second option are coupled by another for 25 frames per second. It is this flexibility of this camera that gives you the reason to buy this at once. GoPro Hero is the best option when you want to shoot scenery or some whacky sports or a television screen. It fulfills almost every shooting need. When we speak of video quality, this product is a sheer, superstar. I had my first-hand experience of shooting with this model in the adjoining street and showed it to some of my cousins later on. To my surprise, they could not believe the quality of the video is coming out from such a simple looking camcorder. However, while experimenting with its video footage qualities, I have discernibly noticed its low performance when it comes to low light and indoors. Plus, there are also some little issues regarding colour balance. This is perhaps the weakest feature of this product. Honestly, it is not at all sufficient for the minimalistic usage. However, this can always be coped up with an external sound recorder. Let us look at its pros & cons. The GoPro HERO gives enough reasons to admire it despite some of its flaws. Its cost-effectiveness together with its resiliency of use is something that is highly appreciable and desirable especially when it comes to new vloggers. 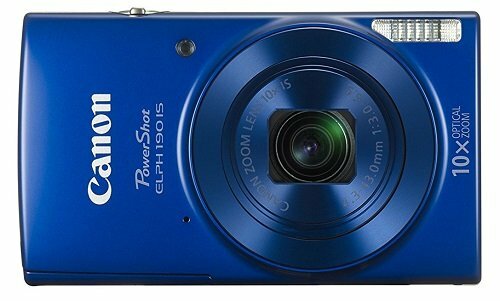 If you are any time soon considering buying this Canon Powershot ELPH 190, it is highly recommended for you to understand, there is just one function that justifies its price; its powerful zooming lens which is ideal for beginners. However, this is not to deter you from buying the product but just to make sure that you make a wise and smart buying decision. 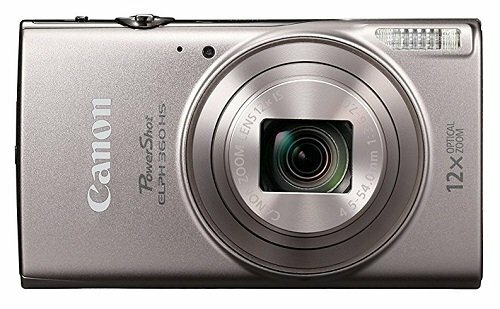 Read user reviews of Canon Powershot ELPH 190. The Canon PowerShot ELPH 190 with its small ½.3 inch image sensor considerably fails to woo you with poor image quality. Usually, you would experience images with some significant flaws in them. However, the only bright part over here perhaps is that it still allows you to have some great shots when lighting is bright and adequate. One of the most excellent features of this product is that it offers you some interesting effects that you can always apply to the pictures. When it comes to performance in terms of shutter lag, there really are some serious issue that you must face. The design is majorly one of the best features that you get to enjoy once you own this Canon product. Its sleek and simple design allows you to slide it in almost every position. Plus, it has inbuilt Wi-Fi connectivity that lends you to work seamlessly. Let’s summarize its key features into plus and minus. This product from canon is evidently not the best. However, it cannot be termed as the worst too. If you need something inexpensive for amateur work, this product perhaps can be one of the best choices. Perfect for portrait and street photography, the Sony DSCH300/B Digital Camera is a camera you can always rely on for those excellent pictures, that do not need many adjustments to deliver accurate shots. Although it is indeed not the best camera out there, it is still worth a try, especially for vloggers who have just initiated their vlogging journey. Read user reviews of Sony DSCH300/B. The Sony product weighs almost around 590 to600 gms and has the dimensions of 130 X 95 X 122 mm. Thus, it is not something which can be moved around quickly. However, you can take these for short trips around. Although there are a number of flaws in the product, this one factor is something that is worth considering. With the highest resolution of 1280 X 720 at 30p fps, it is not something which is very desirable according to the general standards of today’s cameras. With standard shooting life of 350 shots, the battery capacity is something worth mentioning separately. Let’s sum up its significant features into the plus and minus. Although not the best product out there, I will always recommend this camera for people who are starting off with vlogging. 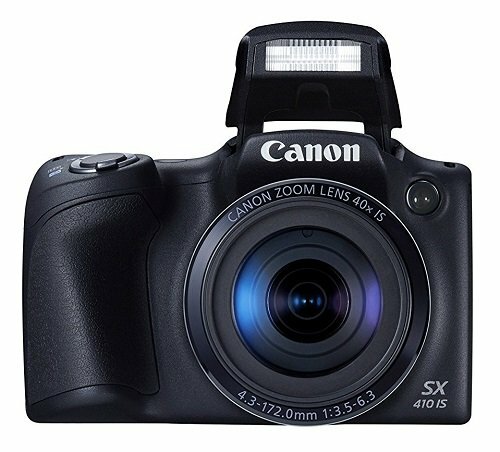 Although to a large extent it is Identical to its predecessor, Canon unveils Canon Powershot SX410 with some remarkable upgradations incorporated. Significant improvements in specifications, make this product a powerful camera, at almost the same price. Read user reviews of Canon Powershot SX410. Let’s get a closer look at its features. Speaking of the design, the product incorporates excellent features with an easy to use design. Its USB port allows fast transmission of data in the form of images from the camera to the computer or the printer. One of the best parts of this product is that it gives you the option of adding external SD/SDHC/SDXC memory card. The battery is not naturally a strong point of this product. My experience at least does not state so. Aided with a 3.6V rechargeable Li-ion battery, this product allows you to click almost a total sum of 186 snaps at one go when fully charged. Let’s sum up its pros and cons. 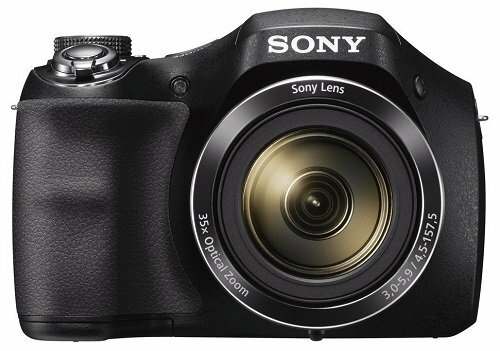 The product of Sony is an excellent camera to look at especially when we take the price into account. However, I would especially suggest you that if you are in requirement of a high definition, high-resolution image quality, it is not the best option for you. When it comes to cost savings and at the same time fulfilling the basic necessities of a camera, the Sony DSCW830 is a powerful product. It is one such unique product that lets you avail an inbuilt Wi-Fi for such low prices. Read user reviews of Sony DSCW830. Let’s have a look at its specs. The product undoubtedly offers you a very compact and easy-to-handle size. However, you may not be that satisfied with the controls. Due to its extremely small buttons with no touchscreen, many times it makes your user experience a little tricky. One of the best things about the product is its zooming power of a maximum of 8X with an equivalent range of 25-200mm which enables you to achieve both wide-angle and telephoto shots at the same time. 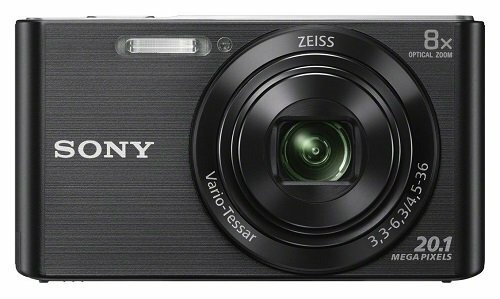 The Sony cyber shot w830 is a compact designed camera that offers you a considerable number of features. Although it has some flaws in it, it still makes a good option for any vlogger, for their daily posts. With these sneak peeks of the top-selling models that are setting standards for vlogging cameras, you can always find one to meet your particular needs. It is imperative to understand your individual needs in order to have a satisfactory product. Otherwise, no matter how much good a product is, it can never be evaluated its best. If you want more cheapest, affordable & best vlogging cameras under $100 category? Read this post: Top 10 Best Vlogging Cameras under $100. You can also check out Top 10 Best Vlogging Cameras with flip screen. If you have the budget more than $200 than I’ll recommend you to read this post – Top 10 Best Vlogging Cameras for Vloggers – Ultimate Buyer’s Guide to Choose the Best Vlogging Camera. Here I’ve listed the best vlogging cameras (Overall) that include best vlogging cameras under $200, under $100, $300, $400, $500, $1000, $1500, $3000. Hope my experience helps to make you an informed choice in the long run. I would love to hear your comments on the same!